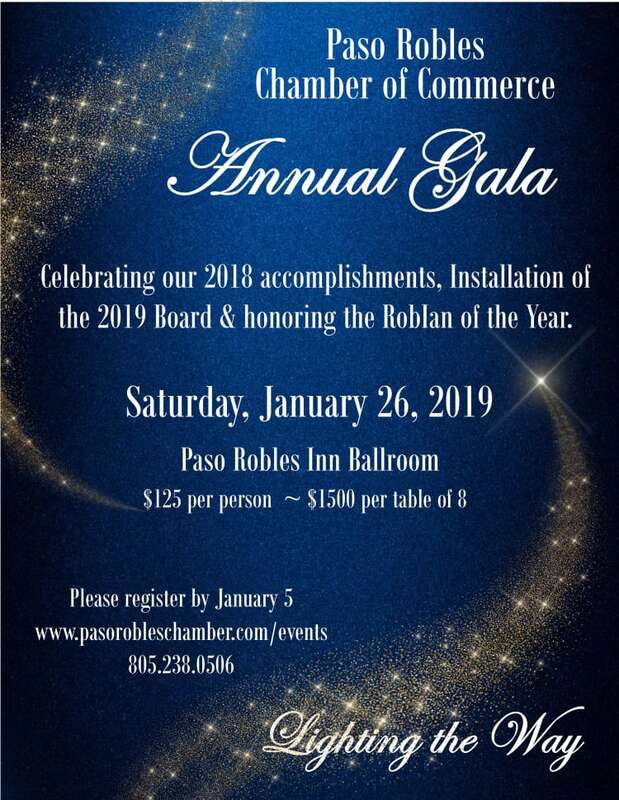 The Paso Robles Chamber of Commerce is pleased to invite you to join us at our Annual Gala. We will be celebrating our 2018 accomplishments, installing our 2019 Board of Directors, and honoring our Roblan of the Year, Ambassador of the Year and Beautification of the Year awardees. We will also host a silent and live auction. Proceeds will help us continue to provide educational programs and other tools designed to help businesses succeed. We are committed to Lighting the Way for our community. This is our highest attended event of the year and it has sold out!